Named after the famous French actress Brigitte Bardot, the Orla Bardot Boardwalk is like seeing Armacao dos Buzios through a camera lens- pretty, picturesque and perfect! Take a walk here during your sojourn in the town to admire the beautiful waters shimmering during bright and sunny Brazilian days and fall in love with its romantic view after dark! The Orla Bardot Boardwalk is located close to the Rua das Pedras and has a number of nearby eateries that serve lip-smacking delicacies. The street has many food-joints which serve authentic Brazilian food. How popular is Orla Bardot Boardwalk? 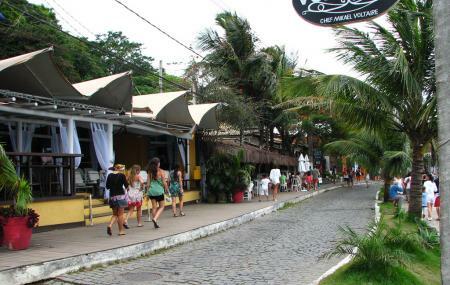 People normally club together Rua Das Pedras and Restaurant David while planning their visit to Orla Bardot Boardwalk.